The Neitzchean fleet swarms away, leaving the Andromeda helpless in the black hole. Andromeda‘s story starts in the last days of the Commonwealth, a parallel to the Federation from Gene Roddenberry’s far more popular creation. 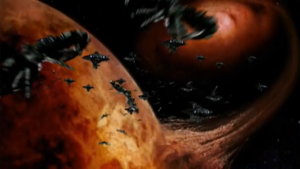 Their allies, the Neitzcheans (who are effectively a Klingon analog), have turned against them after a number of their worlds were sacrificed in a rather poorly thought out treaty with the invading Magog. The end result of all these threats is the fall of the Commonwealth, with a massive loss of advanced technology and the complete decay of civilization over the course of a 300 year dark age. Tarn Vedra, the capital of the Commonwealth, has disappeared, and the Vedran founders along with it. The Andromeda itself emerges after 300 years stuck in the event horizon of a black hole, freezing Dylan Hunt and the ship as relics of another era. He finds it hard to believe that the entire Commonwealth is gone initially, but soon dedicates himself to the goal of bringing peace and civilization back to the three galaxies by founding a New Commonwealth. Certainly an alluring prospect, especially to people like Beka and Harper, who’ve grown up in this dark age and have only idealized stories of the golden days to look back on. 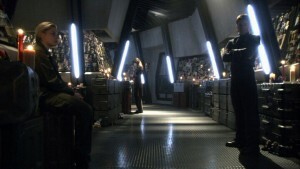 This event, as shown in the first episode, sets up the premise of the show, and much of the conflict in any given episode comes from Dylan’s idealistic Commonwealth-era thinking running headlong into the realities of the present, often times in the form of his own crew’s more cynical points of view. Over thousands of years, Kobol’s ecosystem has recovered, but no human will ever live here again. Well, the Battlestar Galactica universe is one that has a ton of potential entries here, honestly. 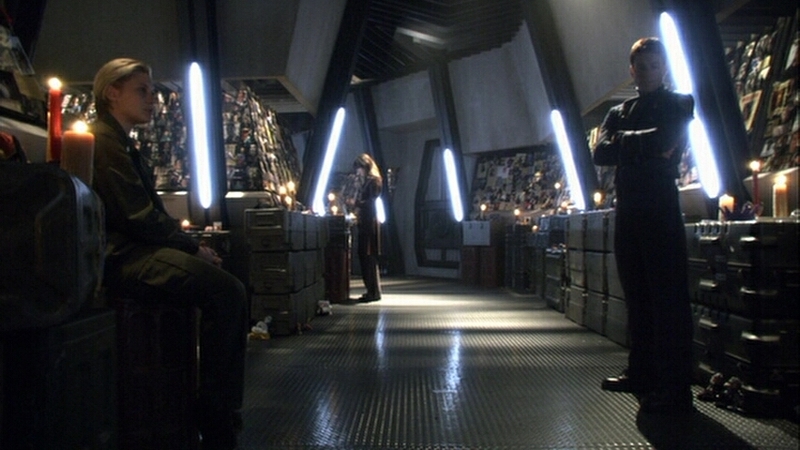 Caprica depicts one, while the 2003 miniseries shows another. But I’m going even farther back, because none of that would’ve even been possible were it not for this one. 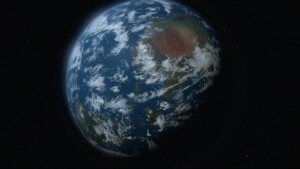 Humans originally came from a world called Kobol, in BSG continuity (well, probably), hence the Twelve Colonies of Kobol. It’s not really clear exactly what happened to Kobol, unfortunately; it seems like it was destroyed in nuclear war, and knowing the cyclical nature of the BSG universe, we can say with some degree of confidence that it was probably as a result of robot wars. Whatever it was exactly, it happened roughly 2,000 years before the show’s time period. Maybe… 2,003 years ago? What we do know is that all the advanced tech in the show came from Kobol, even things like the Cylon resurrection hubs. Life on Kobol is said to have been nearly utopian, and their sacred scrolls make it sound almost like a Garden of Eden-style place that humans were exiled from. But Kobol was a real place, one eventually visited during the show’s run, so while it could’ve been exaggerated (and indeed, it’s implied that was the case), it definitely existed. Everything in the show could have been averted had humans and Cylons been able to continue living on Kobol in peace. Of course, how much the colonies were set back by the loss of Kobol isn’t anywhere close to how far they set us back at the end of the series… but anyway. Firefly starts off in a new star system, full of terraformed moons and planets that have millions of human colonists living on them. Sounds like humanity is doing great! Well, no, not really. 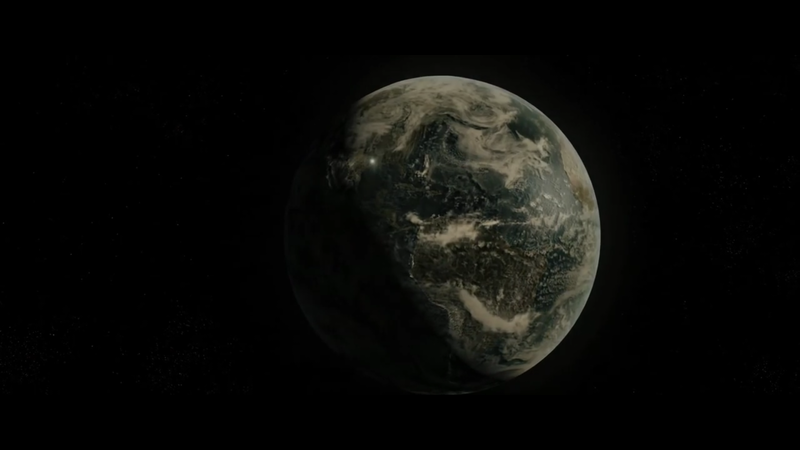 The opening narration makes mention of the “Earth-that-was,” implying that there was a mass exodus from Earth as a direct result of our own actions. This is the explanation for the random Chinese curses and phrases that the crew pepper their speech with; Chinese and American ships are the ones that reached the system the show takes place in, and the two cultures have combined over time. The only real description of what happened to the Earth is that it “got all used up,” and the humans didn’t have any kind of FTL at the time, which required centuries-long journeys aboard generation ships for even a shot at survival. All that traveling, only to end up in a star system ruled by an almost fascist Alliance with even more class division than ever before. Ark debris remains in orbit for decades, meaning they can’t even leave this terrible planet. Defiance may well be over for good, but the show was set long after the end already. In Defiance‘s backstory, the Votan fleet arrived circa 2013, setting a divergence point from our reality there. First contact initially went okay, but the Votans were expecting an uninhabited world, and Earth ain’t exactly ready to house hundreds of thousands of alien refugees. All the land is kind of claimed already, and no one really wants to give theirs up for strangers. Unfortunately, an extremist ends up assassinating a Castithan diplomat, kicking off the Pale Wars, which Nolan fought in and many of the other characters at least lived through. 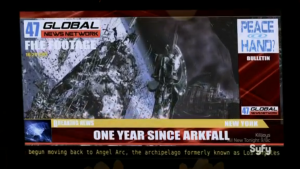 But things don’t stop getting worse there; the Pale Wars ended with what came to be known as Arkfall, the destruction of the Votan Arks which unleashed rogue terraforming technology across the planet. Many nations were completely destroyed, and everything was so radically changed that Irisa (quoting Nolan) states in the first episode, “this world has no natives, so now it belongs to everyone.” Antarctica is now a tropical paradise, or so the rumors claim, but the rest of the world is decidedly worse off, with the US covered in areas of volatility like the Storm Divide or the Badlands, a Canadian Desert, an alien rain forest in Germany, and places like Florida rendered completely uninhabitable, even 30 years later when the show is set. Giant monsters, like the Hellbugs and worse, roam the country side. Few of the comforts of modern life still exist, and worse, most everyone is old enough to remember the better times of their youth. Arkfall was an incredibly tragic event that caused the extinction of uncountable Earth species and the complete and utter loss of huge amounts of history, culture, and technology. What other sci-fi universes had their setting shaped by tragedy? You can let me know in the comments, or on Twitter @RetroPhaseShift. Tonight, we have the return of Continuum for its revived final season, so if you’ve been watching that show, be sure to tune in. And if you enjoy the article, consider sharing it!